How do I use MyFitnessPal? Paul Akers demonstrates how he uses the MyFitnessPal App to track his food intake. For more information on MyFitnessPal, go to this link. 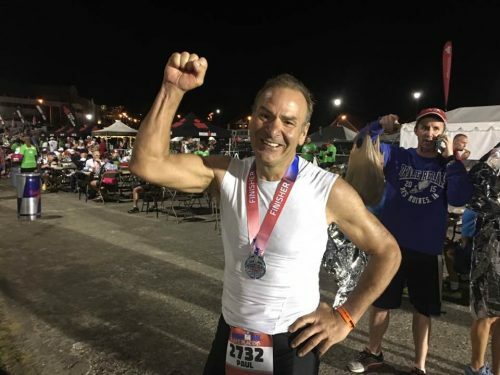 Paul Akers discusses how he mentally prepares for an ironman. Guess what…it is all in your head! Want to know what I eat to stay healthy? Paul Akers discusses how he uses his bench press to practice swimming in the gym. He uses FastCap’s Kaizen Foam to transform his bench press. Paul Akers using Lean principles to improve his bike helmet just in time for the Vichy, France Ironman. This guy make amazing videos! Today’s the day! Getting ready for my second ironman! In Kevin Meyers post, he said “…Almost two years ago I was talking to him [Paul] and he told me how he, in his 50s, was finally getting into great physical shape. He had lost fifty pounds by focusing on diet and exercise and creating accountability by telling his story on social media. Last year he published Lean Health, which goes into more detail why he made this change and how he leveraged several lean principles to help with it. ….” Press here to read the entire posts. Paul Akers has been discussing “fasting” for Dr. Tony Hampton, author of Fix Your Diet, Fix Your Diabetes. For more information on this book, visit this link. Paul Akers discuss how he eats to stay lean.